The Chaffee first graders kicked off their Spring reading program, Super Readers, on Friday, February 8th. 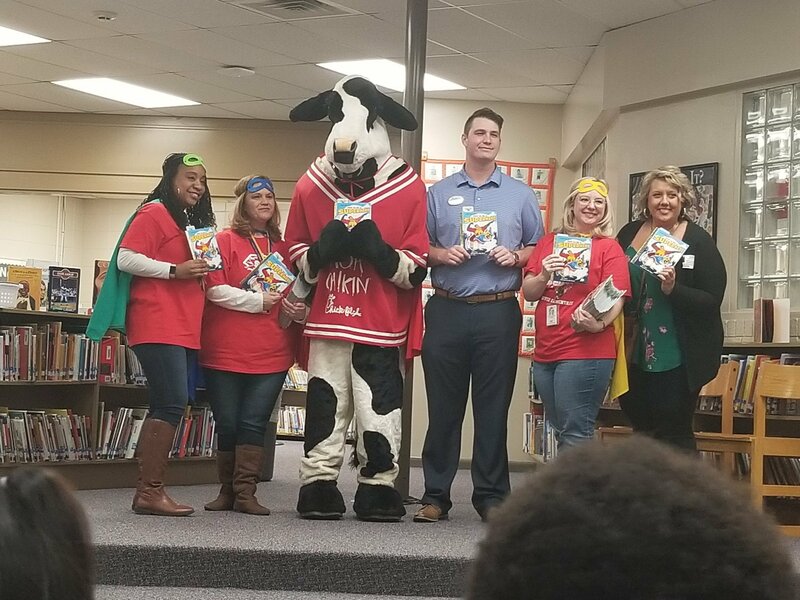 The first grade teachers and students paraded around the school with their new super hero books and bookmarks as the remainder of the school cheered them on. They were also accompanied by the Chick-fil-A cow, as a supporter. The Super Readers program serves as an initiative to get early readers excited and passionate about reading. The program provides students with "links" for every book they read. After a set number of books, the reader receives a prize. First grade has a goal of 100 books read per student.